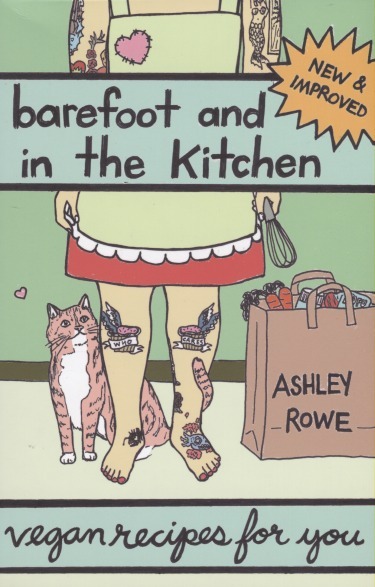 Barefoot & In the Kitchen: Vegan Recipes For You by Ashley Rowe, is another Zine turned bound Cookbook and its a good one. Super easy to follow recipes use ingredients that you can find at any grocery. No trip to a health food store or whole foods necessary. 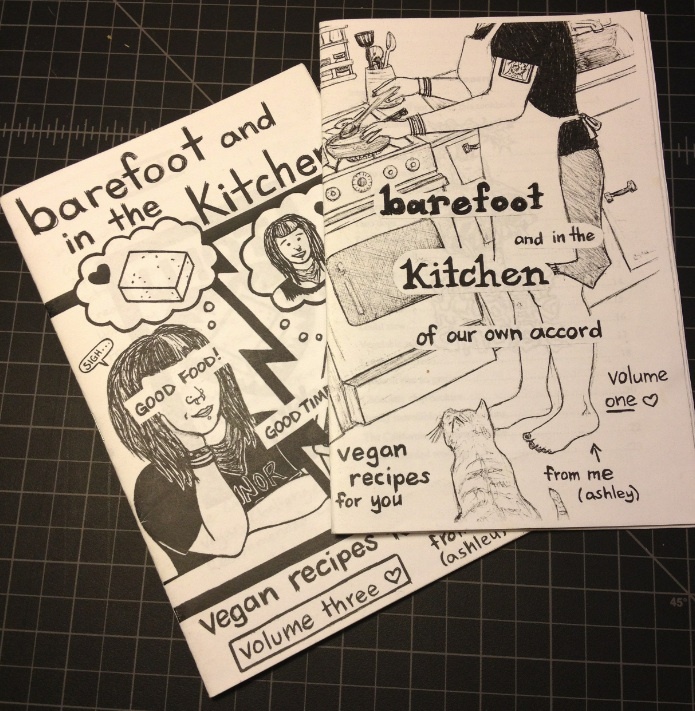 I had three of the zines, but happened to use issue 2 enough that it fell victim to the kitchen demons. The original zines came out in 2005-06 and included lots of illustration and a handy California restaurant guide. Hopefully that has survived in the bound and published iteration. I just saw this on the microcosm site, I am going to get it!